Some bands are quite difficult to pin an easy label on, others less so. On the surface Mr Love and Justice seem to fall into the latter category. The problem is you can find yourself pinning so many “easy” labels on them that you still end up with a long, complex and ultimately unwieldy generic description. Just the sort of band that I like then, one that you can unravel like the layers of a musical onion. One layer may seem to be built from Byrds-esque jangle, another from the very psychedelic tarmac of roads once travelled by The Beatles in their later, experimental modus operandi. Others seem to relate to the more bucolic acid folksiness of revivalists such as Devendra Banhart. Lyrically there is the usual wonderful mix of quintessentially English Cider Dreamtime (Leaving Imber, This England) and more universal anthems of love and Haight, a musical scope that meanders between West Coast continental drifting and West Kennet pastoral musing. In the past I described the band as “Historical, socio-political, agri-folk pop” or even “farmers for fifteen minutes” but this time out they often seem to largely transcend the green fields below and head off for more trippy, cosmic voyages. Maybe they are no longer content to be Moonrakers and have decided to journey to the source of the reflection in the water. 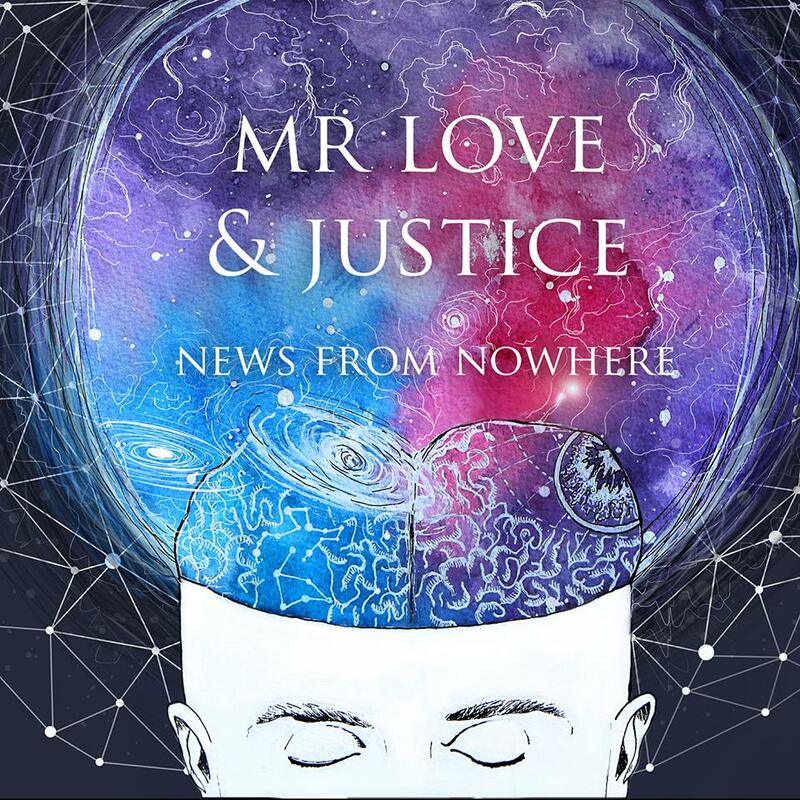 Either way, News From Nowhere sees Mr Love & Justice wearing their most accessible musical trappings yet, their musical references, literary interests and political leanings may be the same but somehow they have found a way to take it to a much wider audience.